Actor Josh Brolin, pictured here at the "Gangster Squad" premiere in Hollywood, Calif., was detained on New Year's Day on a public intoxication charge. 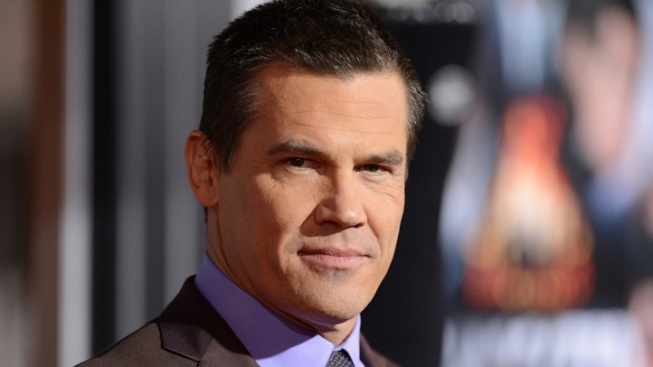 Josh Brolin started the New Year a little too enthusiastically, and on Wednesday's episode of "Late Show," host David Letterman couldn't resist ribbing the "Gangster Squad" actor about his New Year's Day arrest. "I believe he was the first celebrity arrested in the New Year!" Letterman joked in his introduction. The Academy Award nominated actor was detained on a misdemeanor public intoxication charge on Jan. 1 in Santa Monica, Calif., and was released the next day. Brolin gamely opened up about his arrest, and even made light about the situation. "I was pole vaulting down the street, you know I was having fun," Brolin quipped. "I was three blocks from home, what would have been nicer is to take me home!" The 44-year-old actor has had previous run-ins with the law. In 2004 he was arrested on a misdemeanor domestic battery charge, and in 2008 he was arrested along with actor Jeffrey Wright and five other crew members working on the film "W" at a Louisiana bar. "It's gotten really to the point where I wake up in the morning and there's two cops right next to my bed," Brolin joked, referring to his history of arrests.